Rescue! Time is of the essence to save orphaned rhinos. Care for Wild Rhino Sanctuary has a dedicated helicopter to track, find and secure any orphaned rhino. 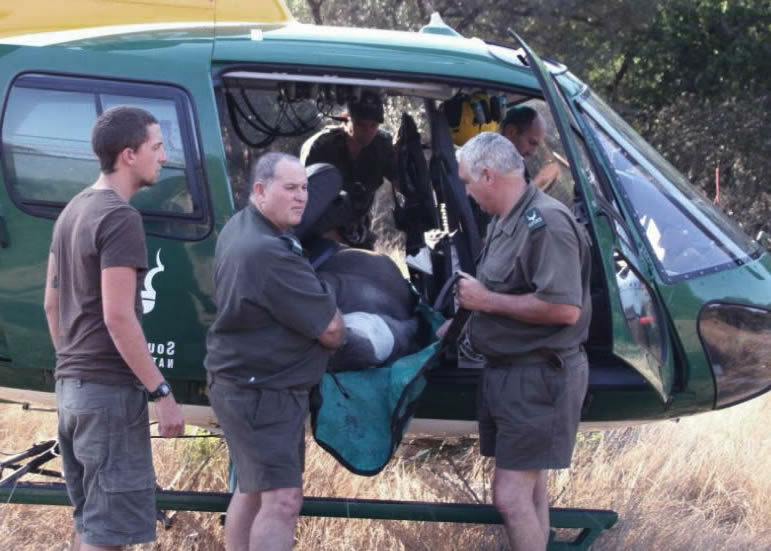 The air rescue team is supported by a highly qualified veterinary team and ground support vehicles that transport the rhino to the holding facilities at Care for Wild Rhino Sanctuary. Rehabilitate! Our state of the art holding facilities house the rhinos during the early stages of their rehabilitation and care process where they are integrated with the other rhinos and are able to form crashes and unique bonds. They receive the highest standard of care, feed and veterinary support during this process thus ensuring full rehabilitation. Release! All rescued rhinos will be released into their natural habitat which is protected from potential poaching incidents and other threats. A highly qualified security team consisting of rhino monitors, canine units, mounted units, and an armed reaction unit are permanently on duty to ensure their security. 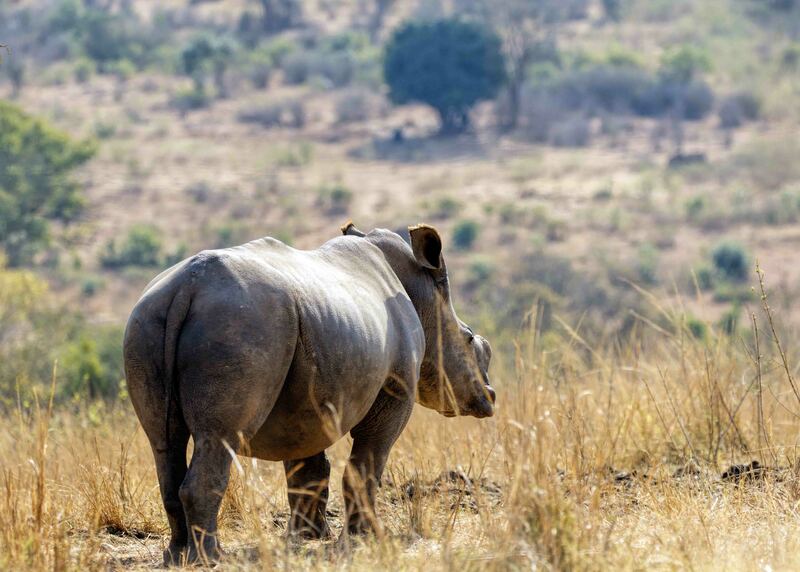 Care For Wild Rhino Sanctuary is located on a beautiful game reserve in the heartland of Mpumalanga, South Africa, where we’ve set up a treatment and care centre where we can tend to injured or orphaned animals until they are well enough to be rehabilitated into the wild. 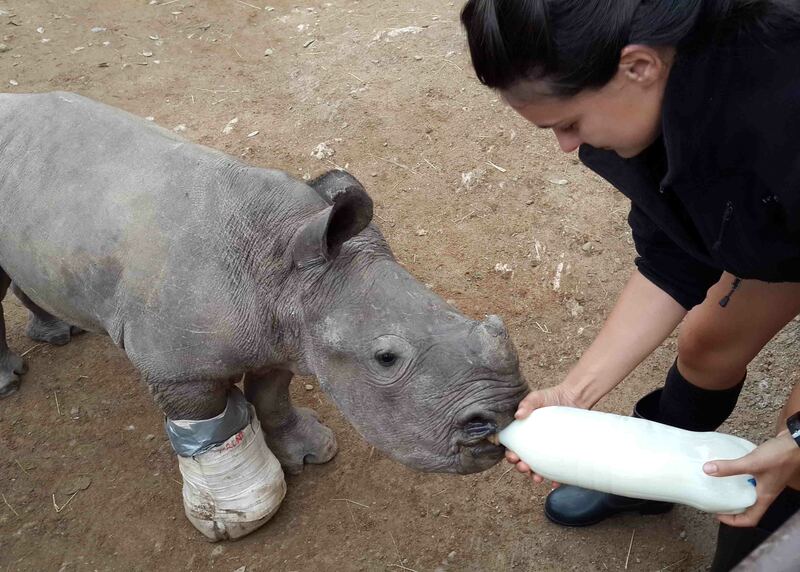 Petronel Nieuwoudt, the founder of Care for Wild Rhino Sanctuary NPC, is one of the few people worldwide who has specialised in the care of orphaned and injured rhinos, and her passion is truly inspiring.